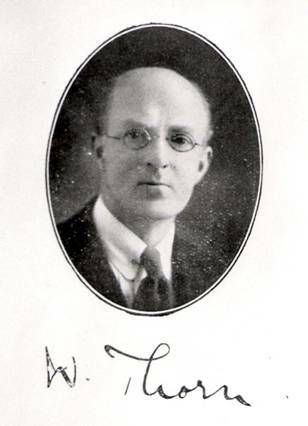 Bill Thorn was born c.1878 and studied flute with Thomas Marsden. He played flute and piccolo with the Hallé Orchestra 1916-1937. At the beginning of the 20th century he also played for the Liverpool Philharmonic. He played summer seasons with the North Pier Orchestra and Tower Circus Band, Blackpool. He was flute professor at the Royal Manchester College of Music. Bill Barlow was one of his pupils.